Quilters Dream Angel Batting: A baby quilt for Ivanka. She is expecting her first grandchild early in the New Year... what a perfect reason to whip her up a quilt! 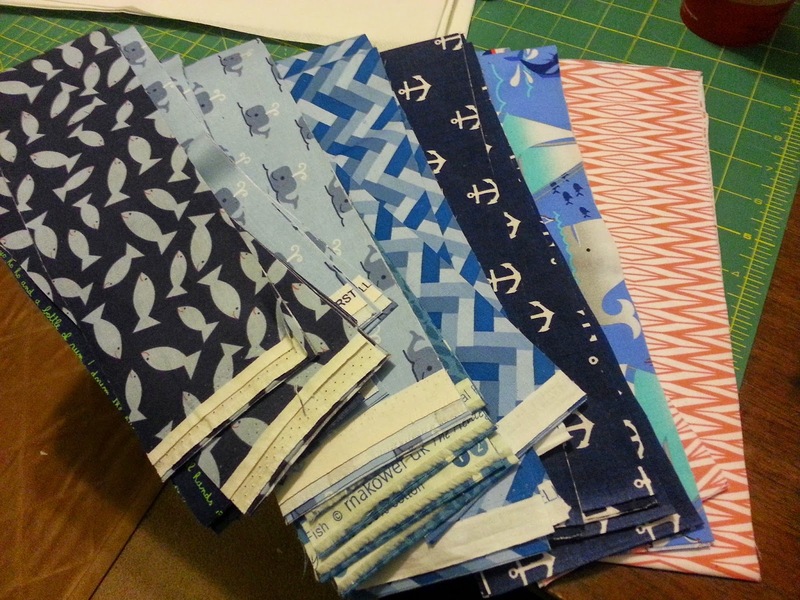 I had a bunch of baby fabric from scrap packs I purchased from Hawthorne Threads. Their scrap packs are incredible! They usually send about a 1/4 yd of end of bolt current fabric. Hawthorne has such a great selection on modern fabrics. I came up with a nautical theme for her grandson to be. Added in Carolyn Friedlander Widescreen in Crosshatch White for the background. 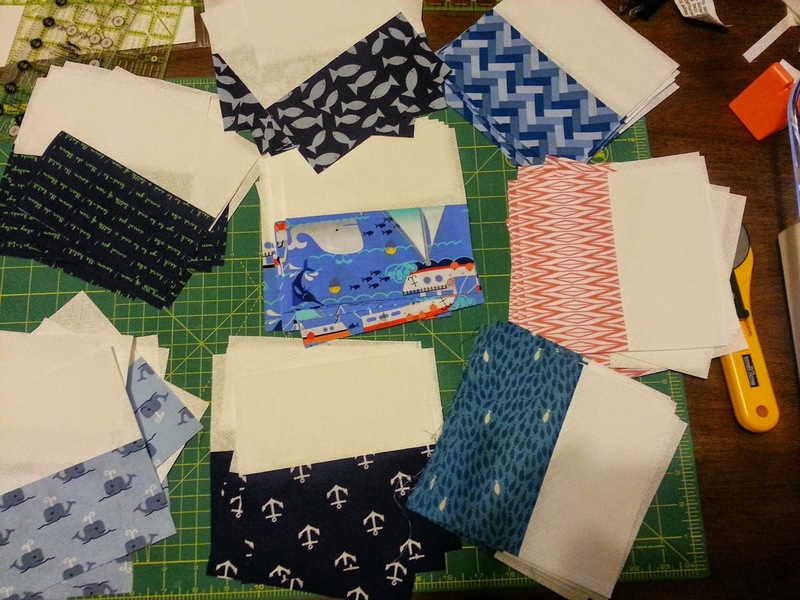 Nautical scraps. Orange chevron fabric for contrast. Atkinson Designs Texas Two Step blocks. I went with Atkinson Designs Texas Two Step for the pattern. I love this pattern! Includes all sizes from Baby - King and is sews up quickly. From start to finish ... cutting, ironing, layout, sewing, quilting and binding - exactly 12 hours - not too shabby. I chose our Dream Angel Flame Retardant batting in Select Mid loft. I have never worked with our Angel Batting before. I'm pretty much just a cotton or poly girl. I was blown away by the Dream Angel! It has very smooth, almost silky hand. Check out the picture below. Dream Angel is made of fibers that are specially engineered to be flame retardant. The fibers are inherently flame retardant with no chemical additives and no PBDEs; And because the flame retardancy is extruded into the fibers, not sprayed or added on to the surface, you can wash your quilt as needed without degrading the flame retardant quality of the fibers. Dream Angel has been tested by an independent laboratory and meets both international standards and the NEW DRAFT CAL 604. 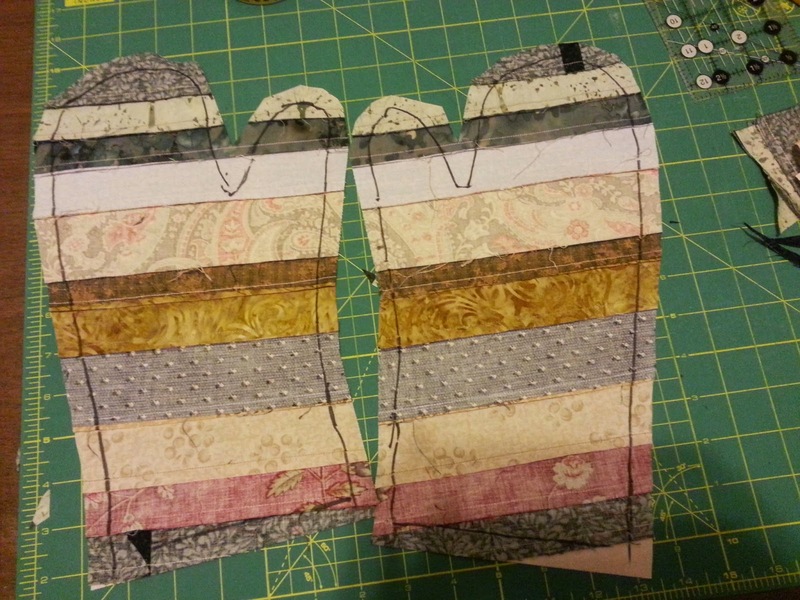 To pass the Cal 604 draft - a quilt sandwich was made using cotton fabric and one layer of Dream Angel batting. The sandwich was laid on and elevated screen. The top layer of cotton fabric was set on fire. To pass the CAL 604 Draft the Dream Angel had to act as a flame barrier - to which it performed beautifully! The bottom layer of cotton fabric used in the tests were not burned and did not catch fire! These were the contenders for the backing: Shannon Fabrics Cuddle Dimple in Beige, Angela Walters Textures fabric in Crosshatch Silver, or unknown stashed flannel. I really wanted to use up the flannel, but the color was all wrong and I just didn't have enough. Went with the Cuddle Dimple. The contrast of the beige backing on a mostly white quilt worked perfectly. I quilted two rows of simple straight lines to outline the blocks. Stitch in the ditch Acu-feed Walking foot. Share with us your experience with Quilters Dream Angel, we'd love to here from you! If you'd like a complimentary sample of Quilters Dream Angel, please contact us at quiltersdreambatting@juno.com or toll free 1-888-268-8664. 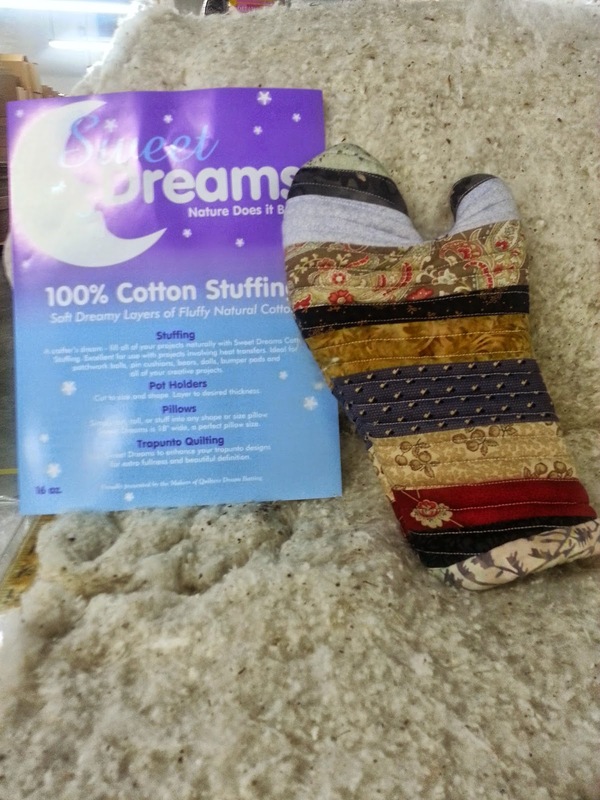 Sweet Dream 100% Cotton Stuffing: The natural choice for your craft project! Sweet Dreams Cotton Stuffing is our 100% Cotton stuffing, a natural stuffing to be used instead of poly-fill for your crafty needs. 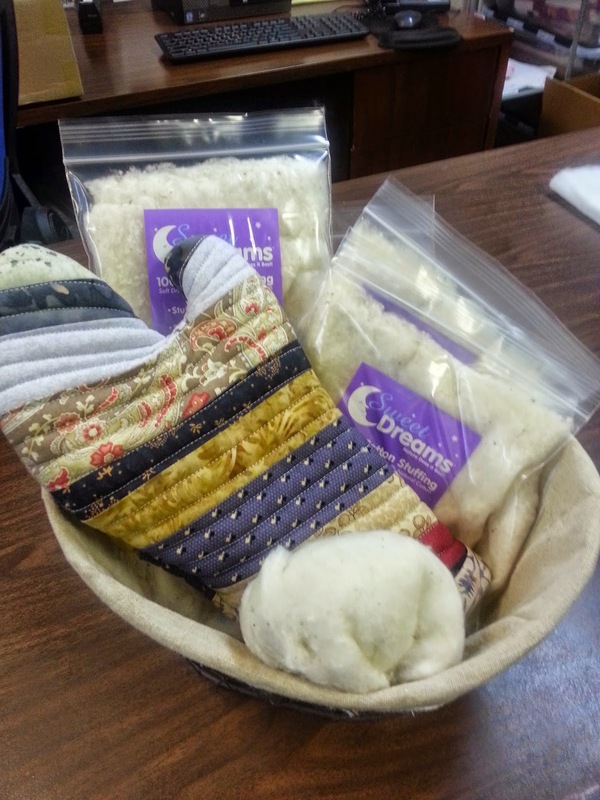 Sweet Dreams is pure raw cotton, no poly, no fillers. It is unbleached with minimal processing (you can even see remains of the cotton seeds in it!) resulting in the softest cotton stuffing. 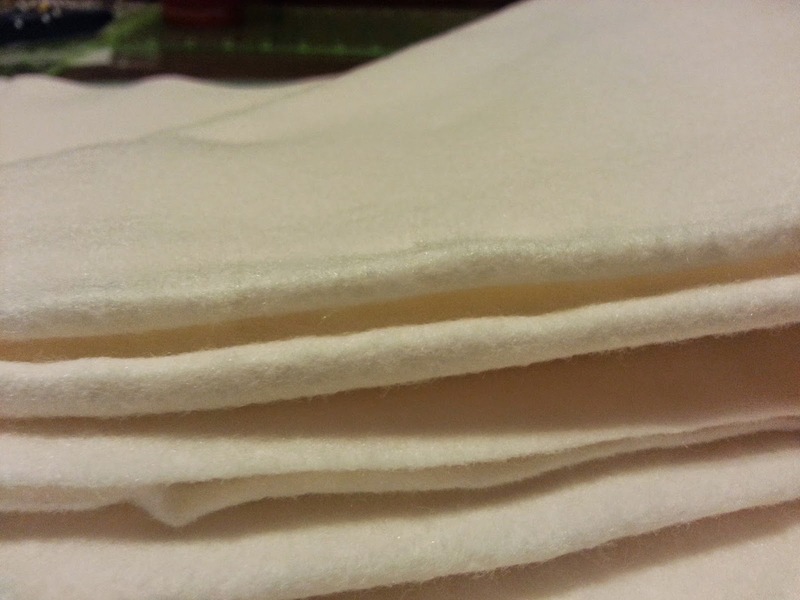 Sweet Dreams is available in rolls that can be used like a sheet of batting (see below) or torn and shredded and stuffed into pincushions, knitted stuffies or floor poufs . 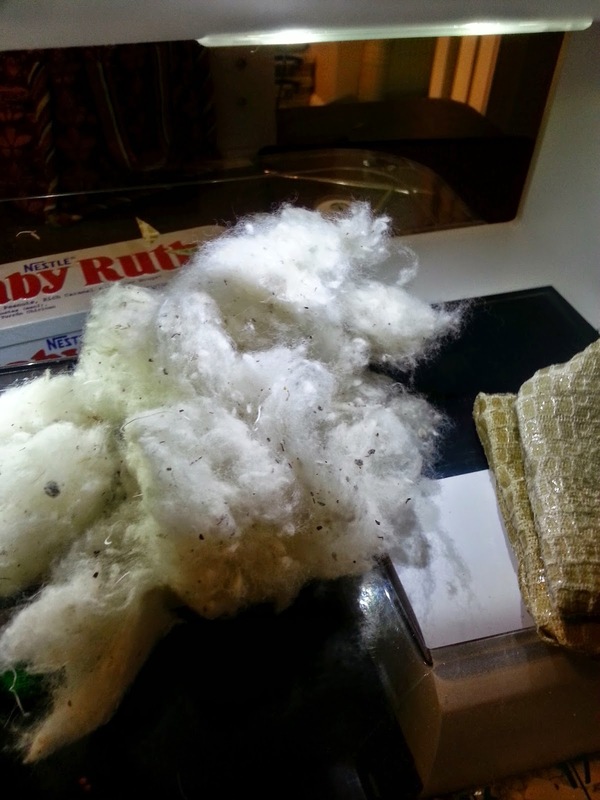 Sheet of Sweet Dreams Cotton Stuffing (left). Fluffed Sweet Dreams Stuffing (right). Sweet Dreams Stuffing can be used for an assortment of crafting projects. 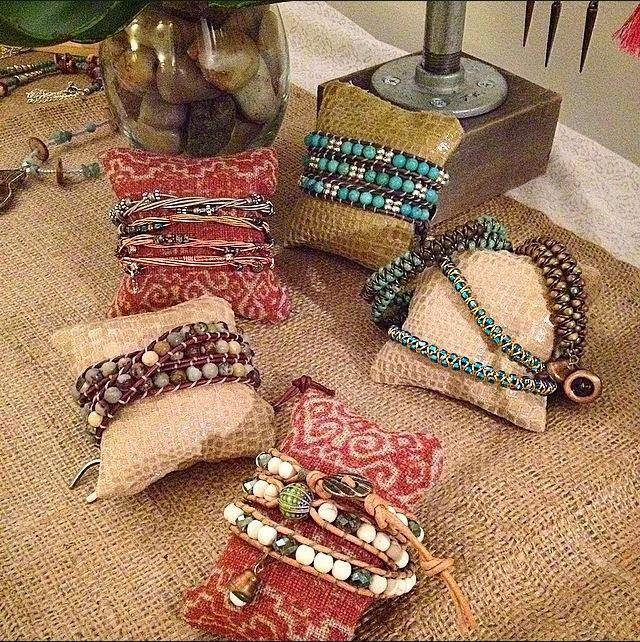 Office #battgirl Gina, the talent and brains behind Gypsy Melange Jewelry, asked for a few display pillows for her bracelets. Gina's bracelet display with Sweet Dream pillows. Check her out on Instagram @gypsymelange. I chose to make a new oven mitt. I traced the old mitt, used one thick layer of Sweet Dreams for each side. 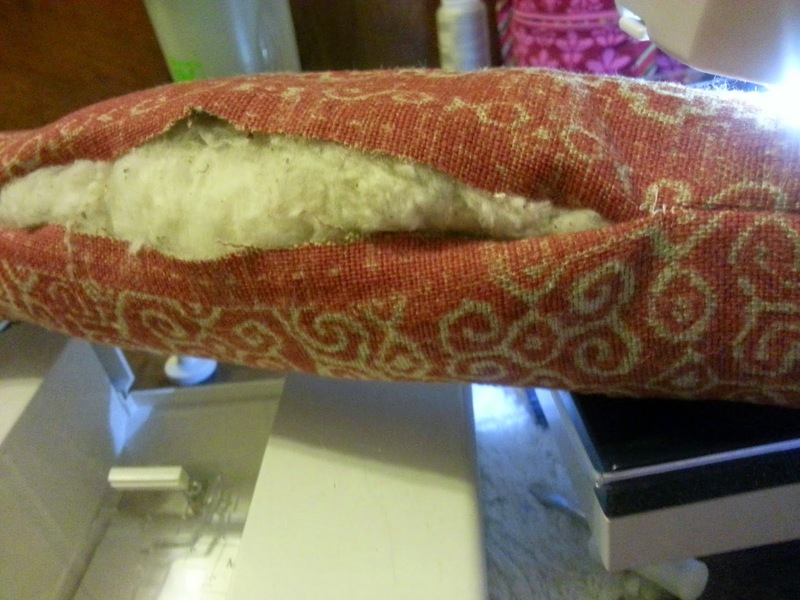 Sewed right sides together and turned the mitt right side out. 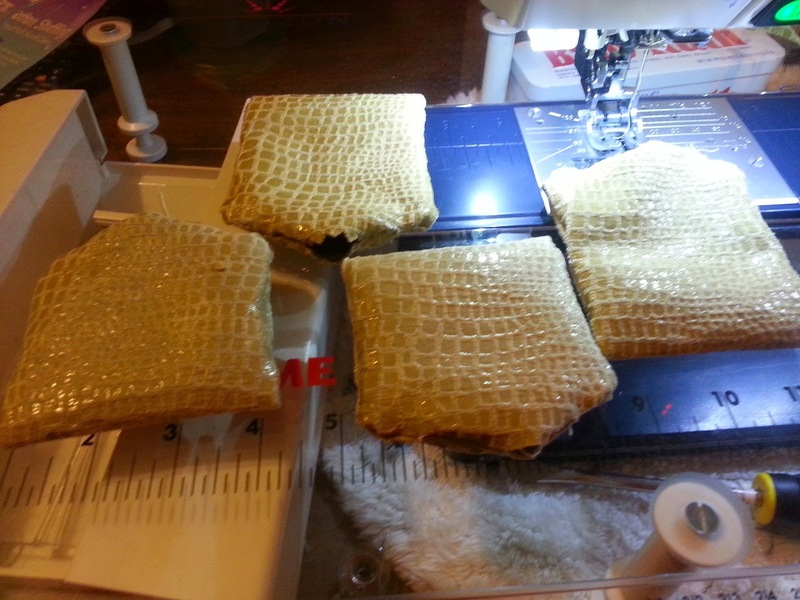 The seams are quite thick with all the stuffing, I suggest using a leather needle and sewing slowly. I hand stitched on the binding at the cuff of the mitt. Have to say, while turning the mitt right side out, my hand was sweating. This oven mitt is warm! Sweet Dreams can also be used for pincushions. 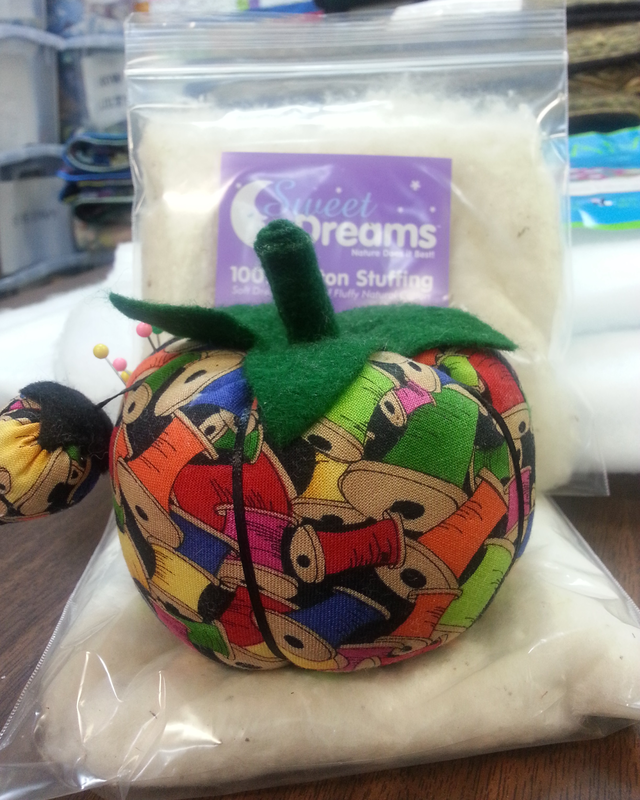 Pincushion made with Sweet Dreams Stuffing from one of our customers. How cute! Share with us your ideas or projects using Sweet Dreams. We'd love to see your creativity! If you'd like a complimentary sample, please contact us at quiltersdreambatting@juno.com. Happy Holidays from the Quilters Dream Elves! Awhile ago, Geraldine had sent us an email requesting samples of our batting. 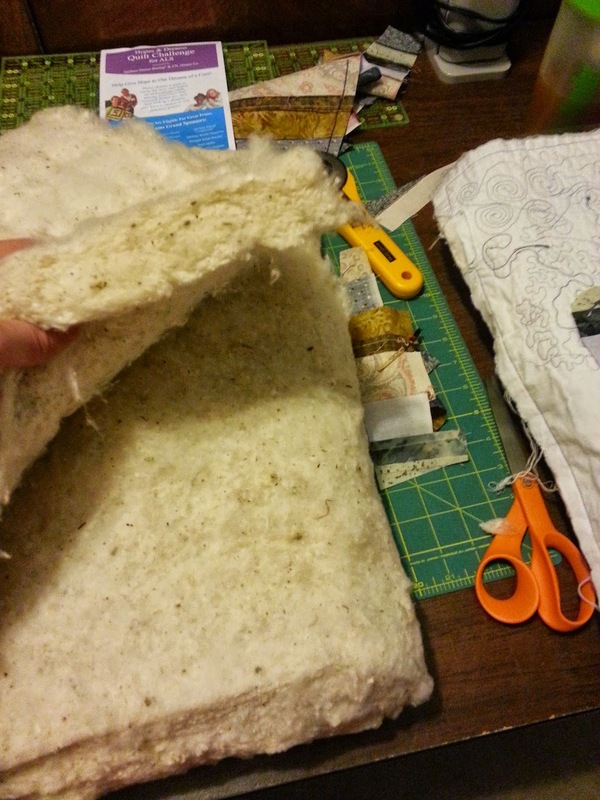 What we didn't know was how devoted she was to what became a 6 month project to test several Quilters Dream products. "I learned so much with this project. I know I REALLY like Quilters Dream batting selection of quality batts. 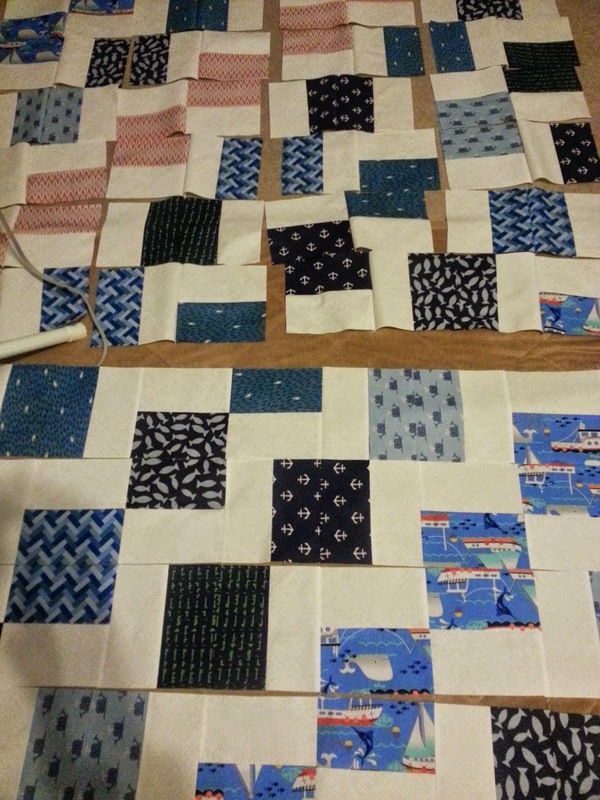 It swings wide open the creative possibilities for my quilt projects. I have been set free! Free to be creatively expressive at every stage of the project. For years, my creative options stop at batting selection because I only used one batting for every project." 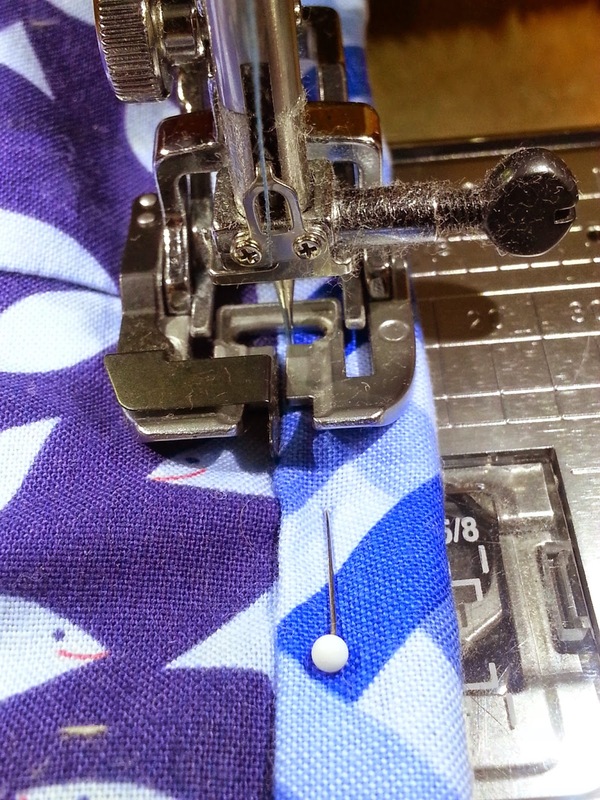 Geraldine started by quilting each sample then added eyelets to which she placed in a binder for future reference. 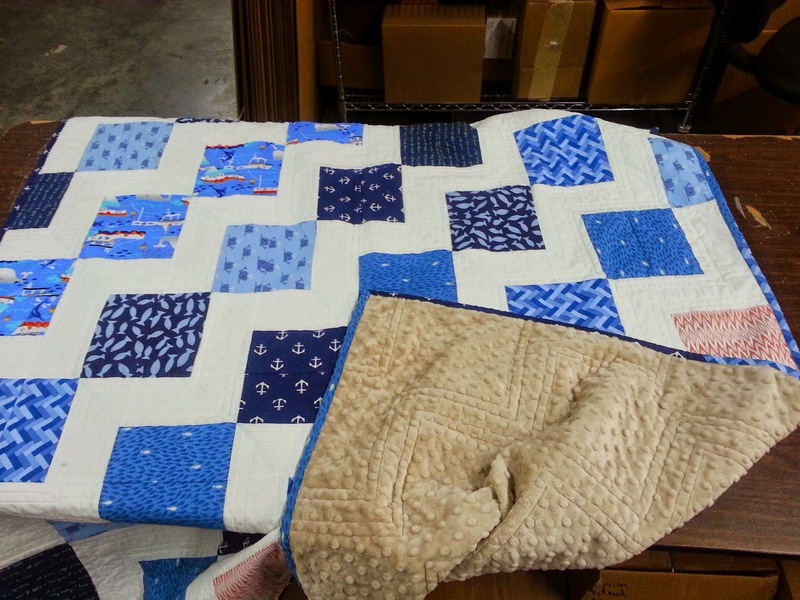 Read more about her testing process and experience working with Quilters Dream here. 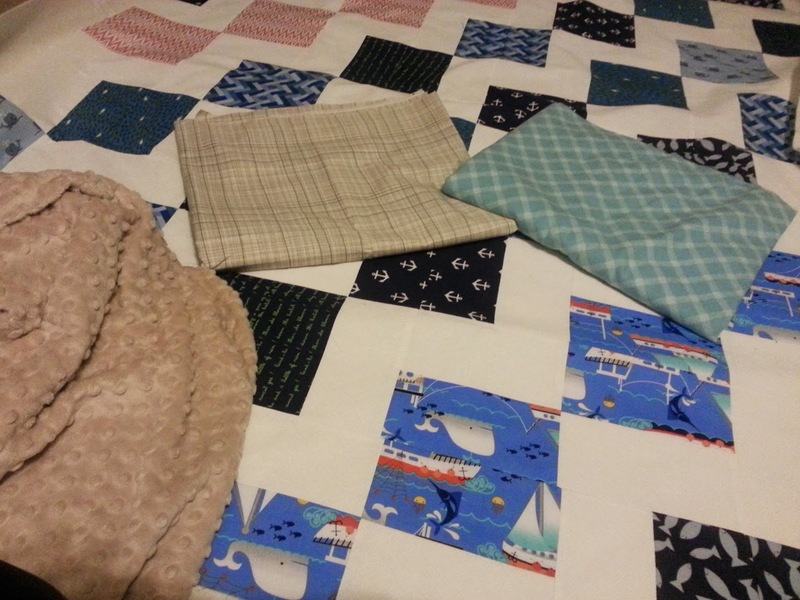 Quilters Dream: What inspired you to start quilting and what inspires you now? 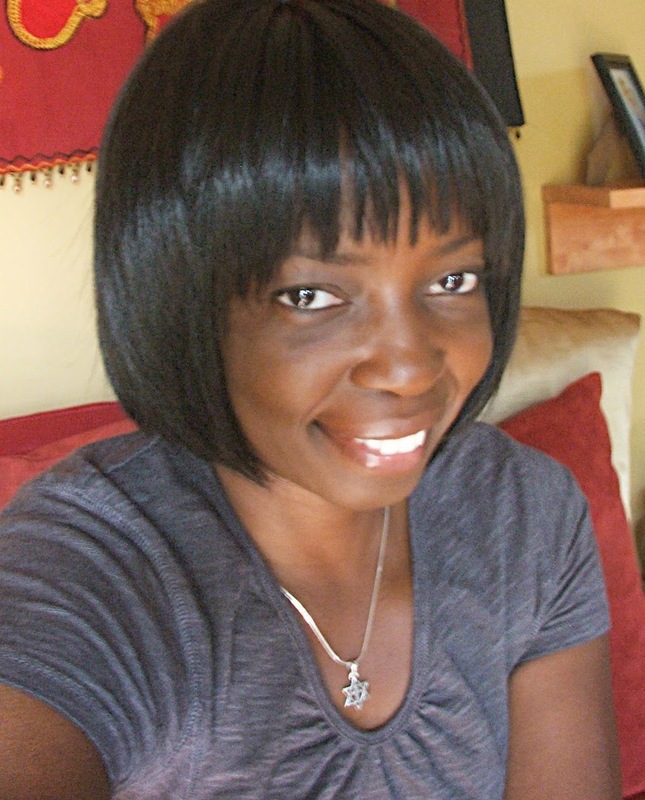 Geraldine: When I moved to Virginia in 2005, I joined my church quilt ministry. I knew I liked home décor sewing and thought I would try quilting. I quickly developed an appetite for the creative process of choosing fabric, designing, and piecing quilts. As my interest in quilting grew, I branched out and joined the local guild, Virginia Star Quilters. The assortment of talent and years of quilting experience at the guild inspired me then and continues today. 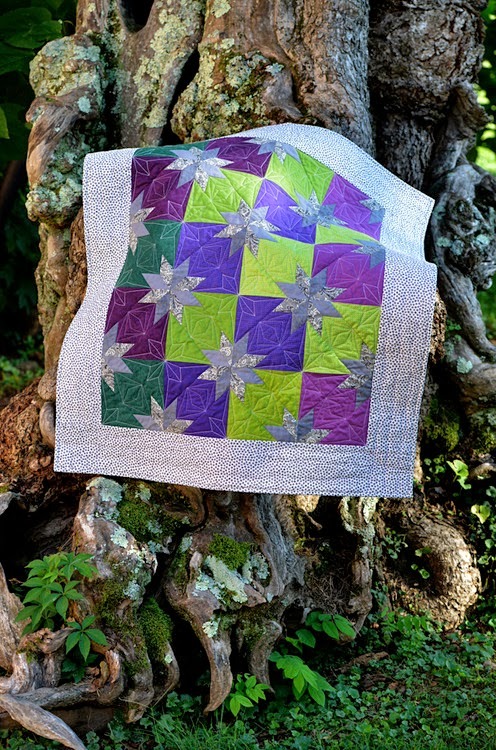 Most recently, the blogging and Instagram quilting community has been an inspiration. It has expanded my enthusiasm for quilting from local to global. 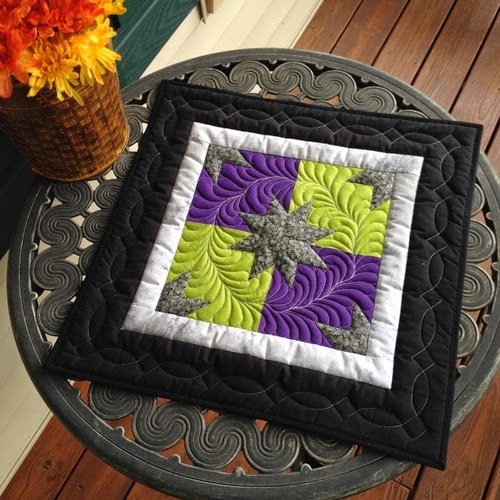 With this little number, Geraldine used Dream Poly for the border. In the middle, she used Dream Poly on the bottom and a layer of Dream Puff on the top. 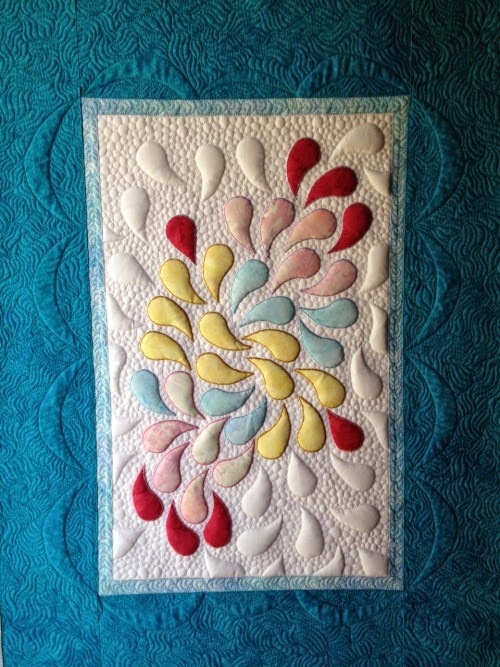 Click HERE to read more about this quilt, including Accuquilt Feather Die & Mctavishing! QD: What is your favorite thing about quilting and/or being part of the quilting industry? 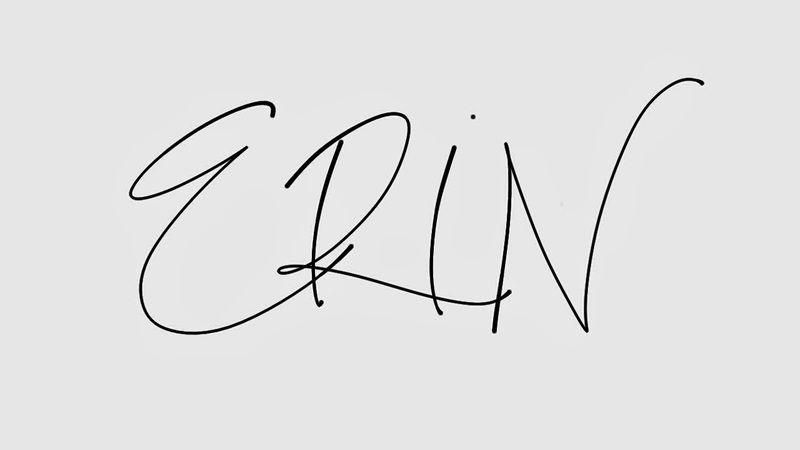 G: Primarily, I enjoy the creative process. There is always a new creative adventure ahead! Overall, my experience with the quilting industry has been amazing. Thread, fabric, and batting suppliers work hard at keeping quilters happy with innovative products that respond to our creative needs. 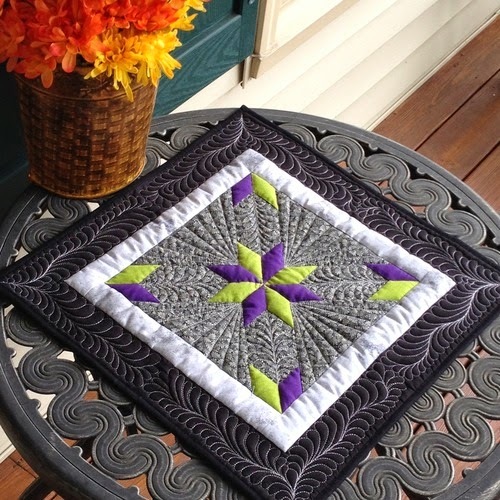 Geraldine used Accuquilt's Hunter Star BOB die for this project. She enjoyed how fun and versatile it was to work with. 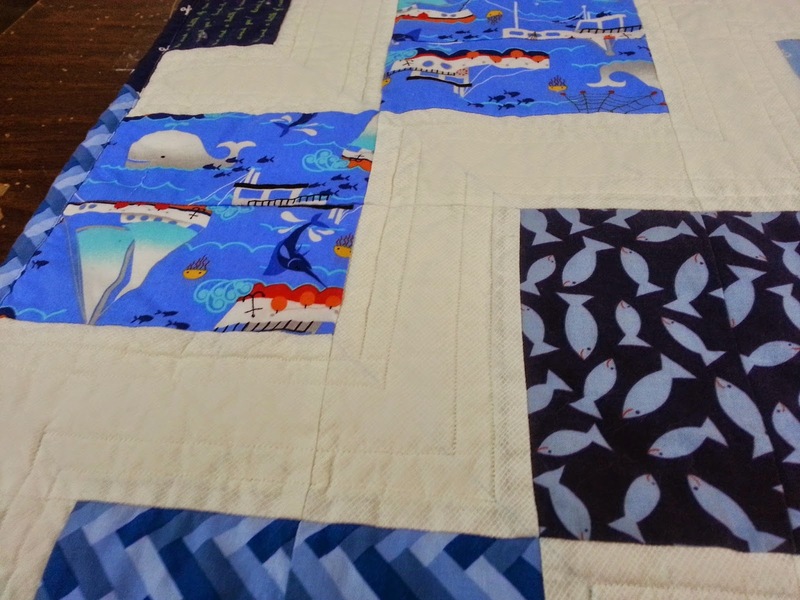 In this quilt she chose the Dream Poly. 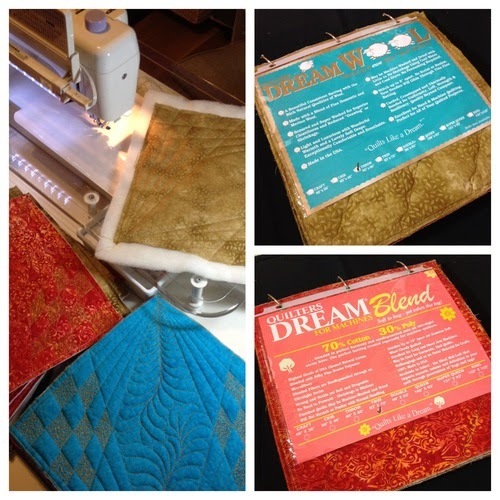 "I am enjoying the quilting experience and results of Dream Poly select. Currently, my quilting emphasis has been home décor projects, art quilts, and wall hanging all with a heavy dose of free motion quilting. 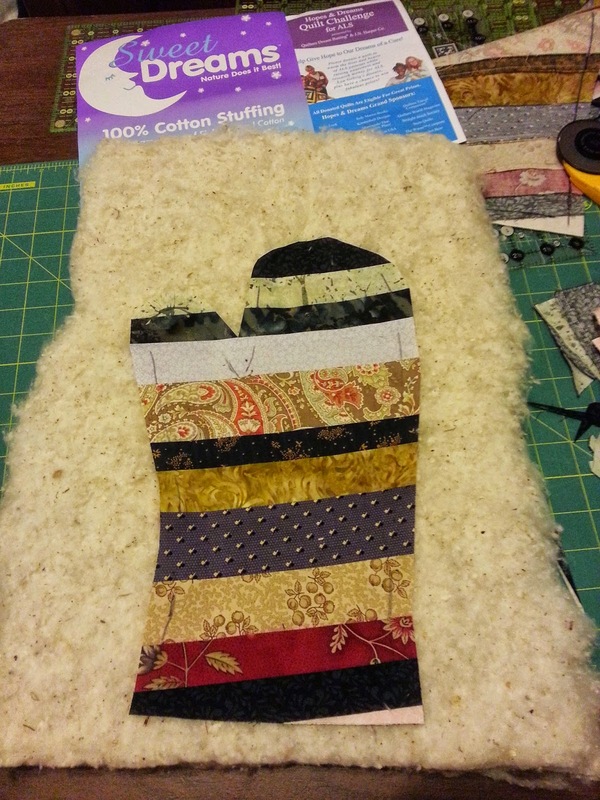 I love drape, weight and consistent quilting texture of Poly select for these projects." Geraldine continued to explore her options with color combinations and batting, opting for a more traditional look with these gorgeous wall hangings. Again, she found success with a layer of Dream Poly on the bottom and Dream Puff on the top making these wall hangings POP with her quilting! QD: We have to say, quilters are incredibly generous and provide such tremendous support for one and other. Can you elaborate on any special connections or friendships you have gained through quilting. G: For the last six years, I have participated in quilting a retreat at the Williamsburg Christian Retreat Center in Williamsburg, VA. Women from as far as Alaska, New York, and Canada, participate in the retreat. Year after year, the bond that started with a common interest continues to grow into a love for one another. We support one another in quilting and in the challenges of life. Quilters tend to be generous, encouraging, caring, and supportive. The size of the quilting community on Instagram is surprising. I enjoy connecting with quilters around the world, with photos and quilt swaps. 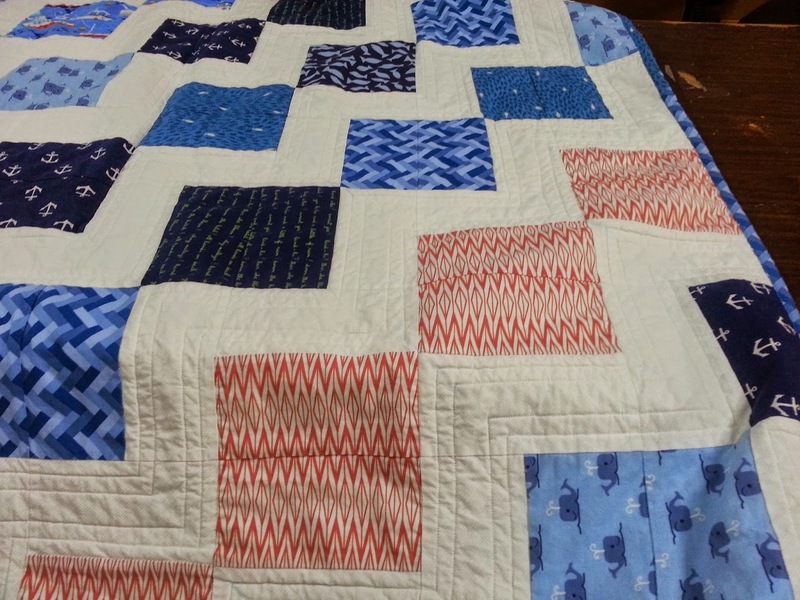 It was through Instagram that I learned of and joined a new modern quilt guild in my area. Keep up with Living Water Quilter/Geraldine Wilkins for more interesting techniques and projects! We hope you enjoyed reading about our December #battgirls and feel inspired to try some of their work. We will even send you some 10 X 10 size samples of your batting choice for you to play with. Just give us a shout! Until then, we are always on the hunt for the next Featured #battgirls....will it be you?